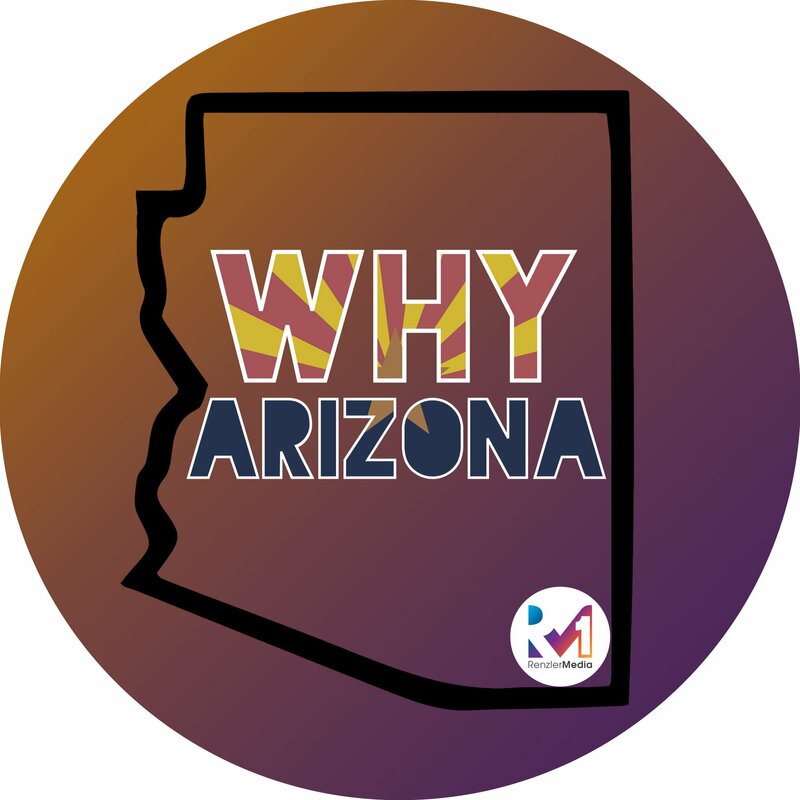 Welcome back to another episode of the Why Arizona Podcast, season 2 with your Host, Ashley Law. On this episode Ashley has the opportunity to meet with Olenka Cullinan, CEO and Founder of Rising Tycoons and #iStartFirst Bootcamps. Olenka was born and raised in Tula, Russia, her mother an entrepreneur, had her start taking English lessons at the age of seven, and by the age of 14, she was assisting her entrepreneur mother with the business, translating documents, and interpreting at negotiations for multi-million dollar contracts. Her charisma and passion for helping others allows her to effortlessly inspire those around her. She uses her knowledge, and passion to help teen leaders become successful in school and in the world, and has done so with teenagers from 21 different countries. She combines humor and personal experience when delivering her message to teens and women alike. She reaches countless numbers of women through the #iStartFirst which was inspired by her mother who instilled the entrepreneurial attitude in Olenka at a very young age. Why Ashley looks up to Olenka. Olenka tells us her story, and how #iStartFirst came to be. Why don’t women play bigger? Trying to find something that you identify with. Olenka, on being a big fan of fear. If you don’t know what to do or where to start, start by doing something that you fear. What does Mario Kart have to do with facing your fears? Olenka’s theory of there being 90 seconds to success. Hitting that “brick wall” so that you can move on to the next level. How social media influences fear in our world today. What Olenka recommends, just do whatever it takes until you are no longer afraid. Being realistic and celebrating the small accomplishments along the way. Why it is that you can never be better than your mindset. Comparing business to paint by numbers. Anyone can be taught how to paint by numbers, but only you can control your mindset. Ashley discusses how she is a recovering perfectionist, and that having something “done is better than perfect”, really resonates with her. Have you read the book, “Girl Wash Your Face”? The lies we tell ourselves, and how they are a reminder of what we feel we haven’t yet accomplished. Olenka recommends making a list of what you need to celebrate before moving on to the next step. While it’s amazing to celebrate the “win”, we spend 80% of getting to that point in the process, so maybe we should be celebrating the process along the way. Olenka talks about how when she’s running a marathon, if she isn’t enjoying herself then crossing the finish line doesn’t mean anything to her. Ashley talks about running a half marathon. Olenka talks about how people with negative thinking, for whatever reason that comes very easily, it’s the positive thinking that people struggle with. Why are women terrible about saying positive things about themselves? learning to share your highs, and lows and learning to celebrate the little victories on the way to whatever your goal may be. Olenka talks about what to expect at one of her bootcamps. The #iStartFirst bootcamps aren’t just entrepreneurs, they attract a diverse group of women. Why creating a raw, authentic and real environment is important to allowing boot camp attendees to feel safe. People crave relationships and connections in real life, Olenka tries to help people do this. Olenka talks about teaching women and young girls how to manage their finances. Believing that the Universe will always bring you what it is you ask for. Knowing that finance isn’t some hidden sparkly unicorn in space. Trying to simplify finance, make it easy for women to understand. It’s not something that is traditionally taught to us in school. Knowing how to manage your money no matter your income, just because you can afford a fancy financial advisor doesn’t mean you shouldn’t know what’s happening with your money. Ask lots of questions. If you don’t believe in the product or service you are selling, then you are in the wrong business. Knowing your value, when Ashley spoke for the first time, how she struggled to put a price on herself as a speaker. Knowing who all of your competitors are, calling them up pretending to be a customer to find out what it is that they offer. Making sure that whatever it is that you are selling, that you will be making a profit in the end. When you have a side hustle you need to know what the ultimate goal of your side hustle is. Do you need the side hustle for fun money or vacations? Or do you need the side hustle to pay a specific bill? How to identify a successful business. Knowing your goal, you are building a lifestyle or a legacy?